Promotional value expires 90 days after purchase. Amount paid never expires. Only valid for the Little Sheep Deluxe combo listed, no substitutes. Cannot be combined with any other offer. Tax and gratuity not included. Valid only at selected location: Vancouver West Broadway, Richmond, or Burnaby. Reservation required. Limit 2 per person, may buy 2 additional as gift(s). Valid only for option purchased. Limit 1 per visit. Limit 1 per table. Merchant is solely responsible to purchasers for the care and quality of the advertised goods and services. Offer is not eligible for our promo codes or other discounts. Little Sheep Mongolian Hot Pot falls somewhere on the spectrum between fondue and Mongolian grill. 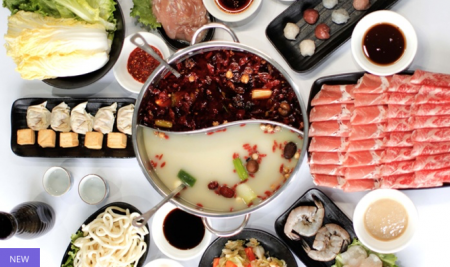 Diners pluck rolled cuts of meat and aromatic vegetables in their chopsticks and dunk them into a communal pot of boiling broth. The broth’s 36 spices and ingredients infuse the steeped foods, turning the mixture into a custom-made soup that diners can share at the table or hoard for their Soups of the World collection. Non-submersible sides round out the feasts and include dumplings, pancakes, and beef pies.